With SWOOD from EFICAD and SOLIDWORKS, woodworkers have the best design tools for meeting woodworking requirements. EFICAD, a SOLIDWORKS Solution Partner since 2001, has invested in CAD/CAM solutions for the woodworking industry for more than 25 years. SWOOD, created specifically for woodworkers, provides a unique tool that manages woodworking projects from design to production. 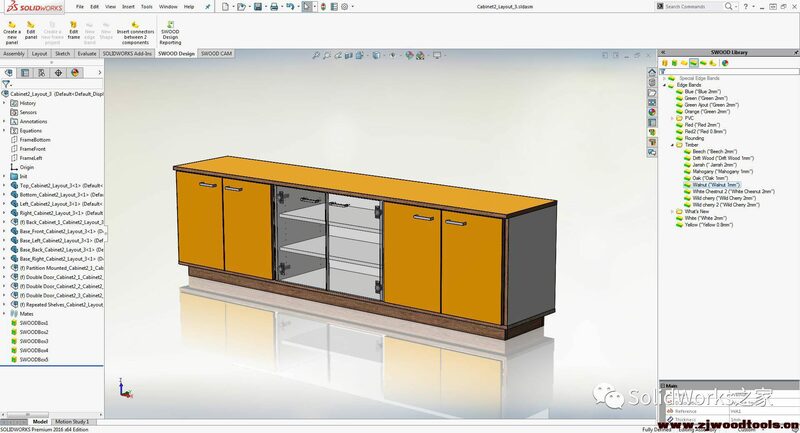 For SOLIDWORKS users, SWOOD provides material and panel processing needs as well as native features in SWOOD libraries for taking on edge banding, grain direction, and laminates. This removes the need to complete properties to create a BOM. SWOOD takes care of the process with a simple drag and drop. Further, when using SWOOD to create parametric furniture, custom rules can be used to ensure models will fit predetermined requirements with a few drag-and-drop gestures. Because of EFICAD’s long experience and collaboration with different CNC brands, a lot of post-processors are available, from G-Code to WOP system. SWOOD encodes full project assemblies at once and generates all the production documents (stocks list, hardware list, labels, costing, CSV or XML export for ERP). The most highly trusted CAD platform coupled with SWOOD suggests new design opportunities for woodworkers. 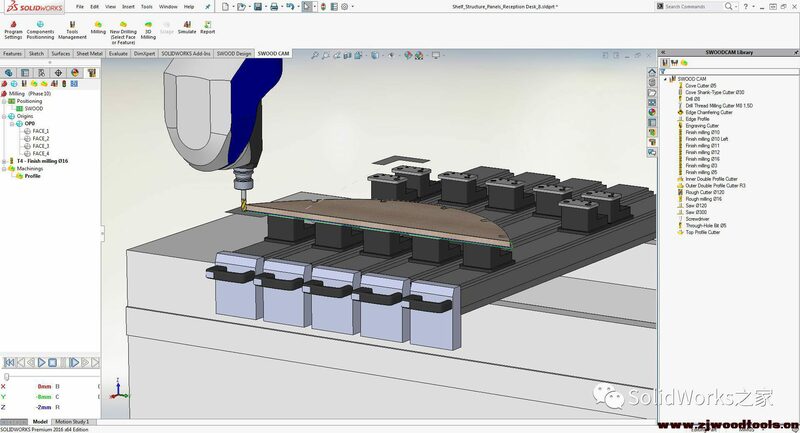 The clearest evidence of this comes from the main European SOLIDWORKS resellers across more than 20 countries that have quickly made SWOOD the choice for customers in the woodworking industry.